EDUCAR ES TAN ANTIGUO COMO LO ES LA RAZA HUMANA. Y QUIZAS MAS AUN: NUESTROS ANCESTROS BIOLOGICOS SIEMPRE EDUCARON, PUESTO QUE EN SUS FORMAS MAS BASICAS, EL PROCESO CONSISTIA EN ADAPTAR A LA VIDA A LOS NUEVOS MIEMBROS, SEA FORTALECIENDO SU SENTIDO DE SOBREVIVENCIA O DESPERTANDO TAMBIEN SUS NATURALES NECESIDADES DE CONVIVENCIA EN EL GRUPO ASOCIATIVO. DESDE ENTONCES SE ENTENDIO TAMBIEN QUE LA EDUCACION ERA, EN UN SENTIDO PROFUNDO, UN PROCESO DE SOCIALIZACION, DE INTEGRACION AL MEDIO TANTO NATURAL COMO SOCIAL. IMPLICABAN ESAS FORMAS PRIMARIAS DE EDUCACION, QUE TAMBIEN FUERON PROPIAS DE NUESTRAS PRIMERAS MANIFESTACIONES PROPIAMENTE HUMANAS, UN MECANISMO QUE ENVOLVIA TRANSMISION DE EXPERIENCIAS, CONOCIMIENTO LOGRADO Y FORJADO A TRAVES DE LA EXPERIENCIA DE VIDA DE LOS ANTECESORES. ESA EDUCACION – INSTRUCCIÓN, SE FORTALECIA TAMBIEN CON EL AMBITO DE UNA EDUCACION – SENSIBILIZACION, QUE EMPIEZA COBRAR FORMA EN LA MEDIDA EN QUE SE SOFISTICA LA EVOLUCION DE LA ESPECIE Y EMPIEZAN TAMBIEN A PRIMAR LOS FENOMENOS PROPIOS DE LA SENSIBILIDAD, DE LA INTELIGENCIA, DE LOS SENTIMIENTOS. EN ALGUN PUNTO DE LA HISTORIA LA EDUCACION PASA A SER UNA EXPERIENCIA HUMANISTA, ES DECIR UNA ACTIVIDAD QUE SE DISPONE A TRASPASAR SENTIMIENTOS PROFUNDOS GRUPALES SOBRE EL SENTIDO DE LA VIDA EN SOCIEDAD Y EL SIGNIFICADO DE LA EVOLUCION HUMANA. LA EDUCACION SE TRANSFORMO ENTONCES EN UN INSTRUMENTO DE PROGRESO, EN TANTO ENVOLVIA TRANSMISION DE LO QUE ES, PERO TAMBIEN PROVEYO ALIENTO A LA IMAGINACION SOBRE LO QUE DEBE SER. EL SURGIMIENTO DE LAS UNIVERSIDADES, EN LAS PRODUNDIDADES DE LA EDAD MEDIA, DA CONFOFMACION INSTITUCIONAL AL ACTO DE CREAR Y DISEMINAR CONOCIMIENTO PARA EL PROGRESO SOCIAL Y EL PERFECCIONAMIENTO HUMANO EN SU SENTIDO MAS INTEGRAL. LA DOCENCIA SURGE COMO EL INSTRUMENTO QUE COMUNICA AQUELLO QUE SURGE DE LA CREACION Y DE LA INVESTIGACION, Y QUE VA HACIA EL INTERIOR DE LA UNIVERSIDAD –PROYECTADA EN SUS ESTUDIANTES- COMO CONTRAPUESTO A LA VINCULACION CON EL MEDIO – LA VIEJA Y ENARBOLADA EXTENSION UNIVERSITARIA—QUE HABIA DE LLEVAR LA UNIVERSIDAD HACIA LA SOCIEDAD. PERO CREAR Y DESARROLLAR CONOCIMIENTO NUEVO, TRANSMITIRLO HACIA EL INTERIOR DEL CLAUSTRO PARA POTENCIA LA CRITICA, PERMITIR PROGRESO E INNOVACION Y HACER MAS SOLVENTE LA PROPIA CREACION FUTURA, ES UNA TAREA INHERENTE DEL ACTO DOCENTE Y EDUCATIVO. ASI TAMBIEN DEBE AUSPICIARSE LA CONEXIÓN ENTRE LA EDUCACION Y LA SOCIEDAD. EL ACTO DOCENTE PASO DESDE SIEMPRE A SER PARTE INTEGRANTE DE CORPORACIONES DE TODO TIPO: PARA TENER UNA PERSONALIDAD COMO TAL, PARA PODER PRESERVAR SU PROPIA INTEGRIDAD COMO CUERPO, PARA COHESIONAR A SUS MIEMBROS, PARA AHONDAR EN EL CONOCIMIENTO DE SUS ANTECEDENTES, DE SU PASADO, DE SU SENTIDO COMO CUERPO, Y TAMBIEN PARA PROYECTAR SU FUTURO, LA ENSEÑANZA OCUPO SIEMPRE UN LUGAR FUNDAMENTAL EN EL DESARROLLO CORPORATIVO. PERO ADEMAS, LA MODERNA CORPORACION, POR EJEMPLO, UTILIZA EL INSTRUMENTO DOCENTE COMO HERRAMIENTA DE DIAGNOSTICO, DE DISEÑO ESTRATEGICO, DE PROYECCION EN EL TIEMPO A LO LARGO DE SU MISON Y DE SU VISION COMO INSTITUCION. LA EDUCACION HA PASADO A SER PARTE DEL DISEÑO INSTITUCIONAL Y DE SU PERMANENTE REDEFINICION. DE LO DICHO, PUEDE DESPRENDERSE TAMBIEN FAACILMENTE CUAL ES LA IMPORTANCIA DE LO DOCENTE PARA UNA INSTITUCION COMO LA MASONERIA, QUE NECESITA FORTALECER SU INTEGRACION, PROYECTAR SUS TIEMPOS PENSAR PERMANENTEMENTE EN SUS PROBLEMAS, REALZAR SU MISION Y VISION Y LLEVAR EL MENSAJE MAS POTENTE POSIBLE HACIA LA SOCIEDAD. PERO MAS ALLA DE TODO ESO, ES NECESARIO TAMBIEN CONSIDERAR QUE LA MASONERIA ES UNA INSTITUCION DOCENTE, Y POR LO TANTO ESE ROL QUE A NIVEL DE LAS SOCIEDAD Y DE UNA CORPORACION CUALESQUIRA APARECE COMO UNA DE LAS TAREAS MPORTANTES, EN EL CONTEXTO DE NUESTRA AUGUSTA ORDEN ES LA TAREA IMPORTANTE, SUSTANTIVA, DECISIVA. EN EFECTO, LA MASONERIA SELECCIONA HOMBRES PARA CORREGIR EN ELLOS EN TODO LO QUE SEA POSIBLE, SUS DEFECTOS DE HERENCIA –COMO REZAN NUESTROS RITUALES. QUEREMOS UN HOMBRE QUE SE PERFECCIONE, QUE SEA CAPAZ DE CONSTRUIR UN TEMPLO INTERIOR, SOSTENIDO POR NUESTRAS PRACTICAS Y DOCTRINAS Y ALIMENTADO CON SUS PROPIOS PRINCIPIOS Y VALORES. ES DECIR, SI LA MISION DE LA MASONERIA ES LA DE SELECCIONAR HOMBRES PARA LOGRAR SU PERFECCIONAMIENTO Y PUEDAN SI CONTRIBUIR AL MEJORAMIENTO DE LA VIDA SOCIAL, LA DOCENCIA ES PARTE FUNDAMENTAL DE NUESTRA VIDA COMO INSTITUCION, Y DE NUESTRO PROYECTO COMO INSTITUCION DEL FUTURO: LA SOCIEDAD MASONICA, INSPIRADA POR NUESTROS IDEALES DE LIBERTAD, IGUALDAD Y FRATERNIDAD, DOMINADA POR NUESTRO PROPOSITO DE CONSTITUIR UNA INSTITUCION INICIATICA, FILOSOFICA Y ETICA EN QUE LO DOCENTE SEA, PRECISAMENTE, EL INSTRUMENTO PARA QUE LA SOCIEDAD MADURE Y PROGRESE. ES ENTONCES, HERMANOS MIOS, LA DOCENCIA UN ELEMENTO FUNDAMENTAL EN NUESTRA VIDA INSTITUCIONAL, EN NUESTROS PROPOSITOS Y TAMBIEN EN NUESTRO FUTURO Y EN NUESTRO ROL DENTRO DE LA SOCIEDAD PROFANA. ESTAMOS AQUÍ PARA LLEVAR ADELANTE UN CAMINO EN BUSQUEDA DE PERFECCION, EN POS DEL IDEAL ETICO, EN PRO DE CONSTITUIRNOS EN HOMBRES CAPACES DE DAR EJEMPLO A UNA SOCIEDAD QUE SE DEBATE EN MEDIO DE UN CAOS VALORICO, DE UN DESPRECIO POR LOS FUNDAMENTOS ETICOS QUE DEBEN RODEAR A LO HUMANO. ES LA DOCENCIA, COMO OCURRE EN NUESTRAS CAMARAS Y TENIDAS, UN INSTRUMENTO PARA QUE PODAMOS DESARROLLAR LOS CRUCIALES PROCESOS VINCULADOS A LA INTITUCION QUE SOMOS Y A LA RESPONSABILIDAD QUE NOS ASIGNA NUESTRA HISTORIA Y NUESTROS PRINCIPIOS DE UNIVERSAL VALIDEZ. POR ESO, LA DOCENCIA DEBE TENER UN LUGAR TAN FUNDAMENTAL EN NUESTRA ORDEN, PUESTO QUE SE TRATA DE LO ESENCIAL A NUESTRO SER INSTITUCIONAL, Y QUE DE ELLA DEPENDE NUESTRA SUPERVIVENCIA, NUESTRA PROYECCION, NUESTRA CONSOLIDACION. PORQUE A PESAR DE LOS TIEMPOS DIFICILES QUE SE VIVEN EN NUESTRA SOCIEDAD ACTUAL, POSMODERNA Y DE RAPIDO TRANSCURRIR EN TERMINO DE SUS CONFORMACIONES IDEARIAS – Y QUE SE MANIFIESTAN EN UN MATERIALISMO PERVERSO Y CORRUPTOR, EN LA DEGRADACION DE LA PERSONA, QUE PESA A SER MEDIO Y NO FIN DEL PROGRESO—LA MASONERIA DEBE BUSCAR EN ESTO LA OPORTUNIDAD PARA PROYECTAR MEJOR SU LABOR BIENHECHORA, PARA RESALTAR EL IMPORTANTE BRILLO DE SU TAREA DE BUSQUEDA Y PERFECCION. ES DECIR, ES HOY DIA CUANDO LA TAREA DOCENTE ES AUN MAS IMPORTANTE, PUESTO QUE NUESTROS RETOS SON MAS SIGNIFICATIVOS Y TENEMOS QUE SABER ENFRENTARLOS CON DECISION Y ENTUSIASMO. DOCENCIA QUE DEBE LLEVAR CONSIGO UNA PROFUNDA REFLEXION, YA QUE NUESTROS CONTENIDOS NO SON UN CUERPO IDEARIO IMPERTURBABLE, SINO LAS LINEAS QUE PERMITEN EL DESARROLLOY LA LIBRE EXPRESION DE NUESTROS HERMANOS. LA MASONERIA ES BUSQUEDA Y PERFECCION, YA QUE POR ESA VIA CONTRIBUIMOS A LA PERFECCION DE LA SOCIEDAD EN QUE ESTAMOS INMERSOS. POR ESO LA MASONERIA ES INVESTIGACION, ES CREACION, ES DESARROLLO DE UN IDEARIO EN FORMA PERMANENTE, PARA CONSOLIDARLO EN EL MARCO DE NUESTROS PRINCIPIOS, PRACTICAS Y DOCTRINA. POR ESO DOCENCIA Y BUSQUEDA, DOCENCIA E INVESTIGACION, DOCENCIA Y REFLEXION SON BINOMIOS INSUSTITUBLES EN NUESTRO SER INSTITUCIONAL POR ESO TAMBIEN ENSEÑAR, HACER PRACTICA LA DOCENCIA MASONICA, ES MAS BIEN QUE UN TRANSMITIR MECANICO DE PRINCIPIOS E IDEAS, EL ESTABLECIMIENTO DE LINEAS QUE ESTIMULEN EL PROPIO APORTE DE CADA HERMANO, A SU RESPECTIVA EDAD. Y ES POR ESO QUE EL RITO ES TAN MPORTANTE COMO INSTRUMENTO DOCENTE, PORQUE ALLI SE ENCUENTRA EL SIGNIFICADO PROFUNDO DE NUESTRA BUSQUEDA, PORQUE EN SU NTERPRETACION SE GENERA LA COHESION QUE NECESITA UN CUERPO DE SERES HUMANOS TODOS DISTINTOS POR SUS AFECTOS, IDEAS, VALORES Y PRINCIPIOS. LA PRACTICA DEL RITO GENERA ADHESION Y COHESION, Y DEBE SER TAMBIEN LA FUENTE DE EJEMPLO PARA LA ADECUADA PRACTICA DE NUESTRA BUSQUEDA. POR ESO ES TAN IMPORTANTE QUE NUESTRA SELECCIÓN DE HOMBRES SEA PROCLIVE A ESTE PROCESO DELICADO DE UNA DOCENCIA CONSTRUCTIVA Y COMPARTIDA. POR ESO ES TAN CRUCIAL QUE SEA LA DOCENCIA EL INSTRUMENTO QUE PERMITA QUE CADA UNO DE NOSOTROS PUEDA VERIFICAR SU PROGRESO EN TANTO MASON, SU AUMENTO DE EDAD EN TANTO EL TRANSCURRIR FORMAL DE SU MEMBRECIA. POR ESO ESTA GRAN MAESTRIA ABOGA EN FORMA TAN COVENCIDA POR MEJORAR NUESTRA DOCENCIA, POR HACERLA MAS VIGOROSA COMO INSTRUMENTO DE REFLEXION, POR EDIFICARLA COMO UN EFECTIVO PROCESO DE FINA SELECCIÓN. QUE NO SEA NUNCA MAS EL DEFICIT EN NUESTRA DOCENCIA EL MAL QUE DE PASO AL DAÑO QUE PUEDA INFERIRSE POR LOS HECHOS A NUESTRA AUGUSTA ORDEN. PERO TAMBIEN, Y EN FORMA CORRESPONDIENTE A LA ESENCIA DE SU ROL, LA DOCENCIA DEBE SER EL INSTRUMENTO PARA QUE LA ORDEN SE PROYECTE HACIA LA SOCIEDAD PROFANA. ESTO, COMO SABEMOS, NO ES SOLAMENTE UN PROBLEMAS DE QUIENES ESTAMOS A CARGO DE LA INSTITUCION. LA PROYECCION DE LA MASONERIA TIENE QUE VER CON TODOS NOSOTROS, PORQUE NUESTRA OPINION, NUESTRA ACTITUD COMO HOMBRES, NUESTRAS PROPUESTAS COMO MIEMBROS ACTIVOS DE LA SOCIEDAD EN QUE NOS DESENVOLVEMOS, TODO DEBE LEERSE EN CUANTO A LO QUE SOMOS: MASONES DE ENTREGA PERMANENTE, COMPROMETIDA, IRREBATIBLE. QUE NUNCA MAS SEA EL DEFICIT DE NUESTRA DOCENCIA, EL MAL DE QUE LLEVA A NUESTRA PROGRESIVA DESAPARICION DEL ESCENARIO SOCIAL, A LA VIRTUAL EXCLUSION DE NUESTROS PRINCIPIOS DE LAS PRACTICAS RELEVANTES A NIVEL DE LA SOCIEDAD. ESTAS JORNADAS HAN RESALTADO EL ROL DE LA DOCENCIA. HAN DADO LUGAR A LA EXPRESION DE NUESTROS HERMANOS AA. : CC. : Y MM. : Y HAN PERMITIDO LA REFLEXION SOBRE UN ASPECTO TAN ESENCIAL DE NUESTRA VIDA INSTITUCIONAL. BUEN PRELUDIO PARA EL AÑO 2011, QUE SERA DECLARADO EL AÑO DE LA DOCENCIA MASONICA, PARA ASI DESTACAR EN FORMA PÉRMANENTE DE RESPONSABILIDAD QUE TODOS TENEMOS EN ESTA SUBLIME TAREA. AGRADEZCO A LAS LOGIAS DE ESTE VALLE POR SU APOYO, SU PROFUNDO COMPROMISO CON ESTA TAREA Y LA NOTABLE EFICIENCIA Y ESFUERZO COLOCADO EN EL ÉXITO DE ESTAS JORNADAS. AGRADEZCO A LOS HERMANOS RESPONSABLES DE LA ORGANIZACIÓN Y A TODOS QUIENES COLABORARON A ESTE BUEN ÉXITO, Y PARTICULARMENTE A MIS VENERABLES HERMNOS 1ER Y 2DO GRANDES VIGILANTES Y EL GRAN ORADOR DE LA GRAN LOGIA DE CHILE. TODOS UDS. 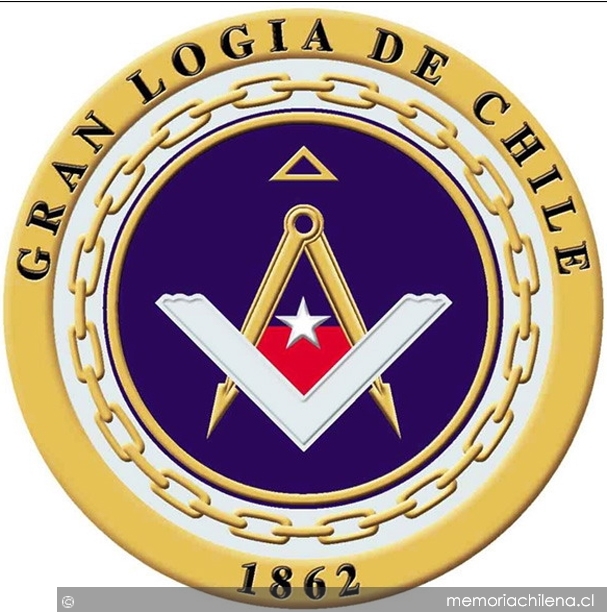 MIS QUERIDOS HERMANOS, OS DESEO UN FELIZ RETORNO A CASA, Y UN RENOVADO COMPROMISO CON ESTA MASONERIA CHILENA QUE OBSERVA SU FUTURO CON OPTIMISMO Y PROFUNDA CONVICCION. La docencia en la Gran Logia de Chile es un ejemplo a imitar. This entry was posted in Noticias Masónicas. Bookmark the permalink. Es una definición completa de la Educación, amplió mis conocimientos.